Saab has filed for bankruptcy after a troubled year. The factory was more or less dormant from March onward, and then followed a convoluted process to secure investment from Chinese manufacturers, which hit trouble at every turn. Eventually the Board of Directors decided enough was enough – and so Saab is no more, and it looks unlikely that there’s any chance of salvation. But Saab has never been boring cars. Filled with interesting touches and details, it was easy to identify a Saab in a line-up. 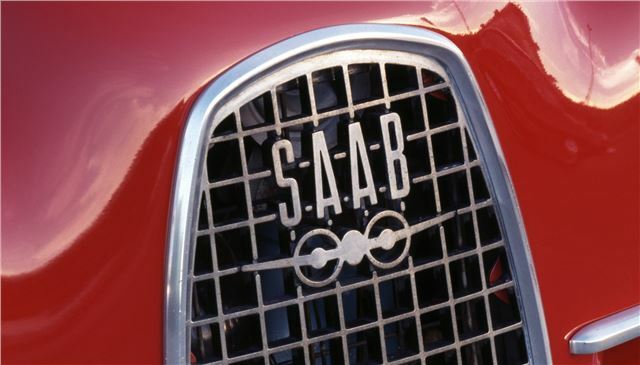 To commemorate and celebrate the Swedish manufacturer, we’ve compiled five of the details that made Saab so individual. It might seem a little odd to commemorate a vehicle’s air vents, but when they’re as distinctive as those fitted to Saabs then it’s understandable. With square holes and a round adjustment knob, they featured right the way up until the Saab 9-5. The rest of the typical Saab interior was intelligently laid out, the seats were comfortable and the dashboard, while often novel and unique, was always easy to read. Imagine you’re behind the wheel of your car at night. How many lights are there on the dashboard distracting you from the road? Probably too many. Saab’s night panel setting turns off every superfluous light in the cabin, leaving just the speedo illuminated, meaning fewer distractions. It’s cleverer than that, though, because if you accelerate hard and near the redline then the rev counter illuminates, and if the engine is getting too warm, the temperature gauge lights up. You get the idea. It’s simple, but very clever. Most of the time, starting a car is simple - put the key in, turn it, and voila. Not so with a Saab. In most models the ignition is fitted to the transmission tunnel near the gear level, which makes it a challenge to find anyway. Not only that but, in order to get the key in, the car must be in reverse. It might be to keep the car from leaping forward when starting, or it might be because it is more of an ‘event’ to start a car that way. Whatever the reason, it’s probably prevented any number of thieves from making a smooth getaway. Most manufacturers use turbocharging technology now. It’s an efficient way of extracting a lot of power from a small capacity engine, so it’s at the forefront of many minds at a time when downsizing is a common trend. But it has a special place in Saab’s past. Saab was the first manufacturer to bring turbocharging to the mainstream, and some of its most famous performance models, like the 99 Turbo, owe their personality to the surging power delivery they were afforded by the fitment of a turbo. Even when most manufacturers were still building rear-wheel drive cars, Saab was making front-wheel drive machines. Front wheel drive handling is more predictable, with the car tending to want to plough-on in a straight line if you push too hard, rather than to spin around. This is good for most drivers, because the intuitive thing to do when a car ploughs on - or understeers - is to lift off the throttle and brake. Saabs usually tuck in and behave predictably when you lift off and brake, making them feel ‘safe’ through corners. It’s unclear what will happen to the Saab brand now. It could be bought up by a foreign company, as happened to MG Rover, or it could be rescued at the final hour as it was in the past. There’s as much chance, though, that it will be consigned to memory. It’s a shame, though. Saab offered something different, giving buyers the choice of a unique, niche vehicle instead of the usual mainstream choices.